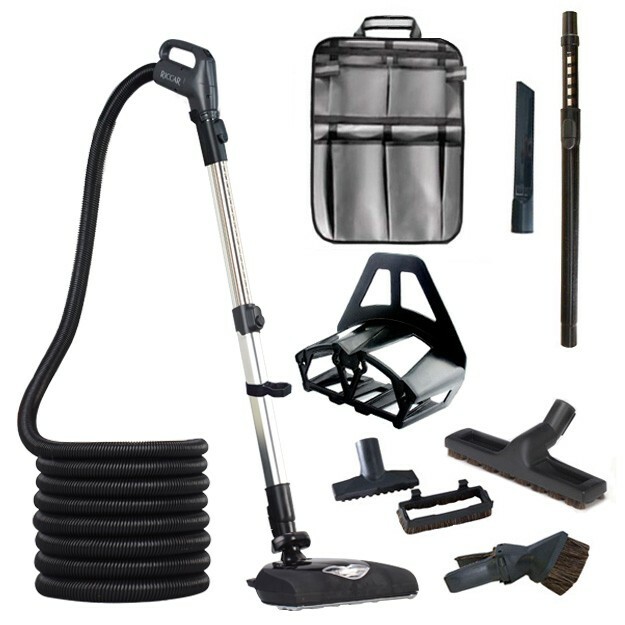 Central vacuum systems are built-in vacuum cleaners that link a hose and electric power brush to a central power unit with a collection canister. Special pipe is installed through interior walls, crawl spaces, attics or basements to connect the power unit with low-voltage wall inlets. Piping system and inlets. Inlets (valves) are the connections in the wall where you plug in the hose. A general rule of thumb is one inlet for every 600 square feet of living space. A hose (typically 30’ or 35’), attachments and cleaning tools. The power unit, which includes the system motor and collection container is usually located in a garage, basement or utility room. 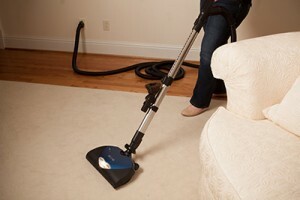 The motor provides up to five times the cleaning power of a conventional vacuum. And because the power unit is located outside the living area, it does not exhaust inside the house to stir up more dust, dirt and allergens. Since the findings of the U.C.-Davis study, the American Lung Association now includes central vacuum systems in its standards for its Health House National Demonstration Program. Leading green building programs offer points toward “green” certification to homes that have central vacuum systems and leading national builders are providing central vacuum systems as recommended options or standard features in their Air Quality packages. In addition, the U.S. EPA acknowledges central vacuum systems as an indoor air quality enhancement. Riccar Central vacuum systems offer numerous benefits including exceptional filtration for improved indoor air quality, impressive cleaning performance, nearly silent operation and the fact that they increase a home’s overall market value. 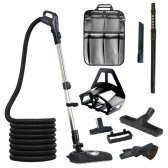 These models have taken the most desirable convenience features developed after years of research for our upright and canister vacuums and brought them to the world of central vacuum systems. Our Riccar central systems are built to stand up to the toughest cleaning tasks not only when new, but for years to come. In fact, all Riccar Central vacuum power units are backed by a Lifetime Warranty. Experience VACUFLO®’s exceptionally powerful central vacuum performance and cleaning versatility with a wide variety of accessories and powerheads that are specifically designed for today’s homes and furnishings. The VACUFLO System works by transporting dirt, debris and dust particles through a simple network of tubing that runs through the walls to the power unit. The in-wall tubing is easily installed during construction or added to an existing home. Installation is usually completed in less than one day with no structural modifications needed. The Premium Plus central vacuum unit is the cream of the crop in Riccar's hybrid central vacuum line. Besides giving you the flexibility of using or not using a HEPA media bag, this unit delivers powerful cleaning performance in homes up to 20,000 square feet. The Premium Plus model is equipped with double two-stage motors, carbon dust filters... learn more. With or without a bag, the Premium Hybrid Central Vacuum cleans beautifully and is packed with power and premium filtration. Featuring a 3-stage motor, muffler and carbon dust filter, this model has a large 5-gallon capacity and a Smart Board diagnostics display to remind you when to check the bag or filter. A Soft Start feature allows for smooth and gradual start-up of the vacuum system to... learn more.